Having the ability to send messages to your clients is a vital way of connecting & engaging with your clients in between sessions. However, SMS, email and phone calls are not HIPAA compliant. We wanted to offer a secure environment for therapists & their clients to communicate and send messages without compromising the clients’ data security & privacy. That’s why we build Direct Messaging into Therachat. Since our platform is completely HIPAA compliant, direct messaging through Therachat is also HIPAA compliant. Start sending messages to your clients in a secure way! Do your clients forget which activities you suggested them to do during the week? Do your clients bring in paper work you have to go through in a session? These are all common pains in therapy. 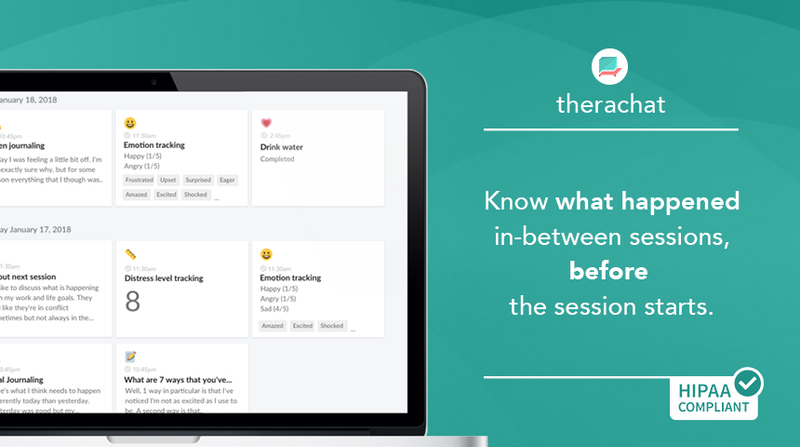 With Therachat you can now send your clients activities to do in between sessions. Through the mobile app, your clients will be reminded to do the activities you scheduled for them & you will see the results in your dashboard. Instantaneous. Did you forget to set a password? Or would you rather reset your password? Do you want to use your name when inviting a client to use Therachat? On your profile page you can now change your settings and add more info. Inviting clients to use Therachat is now easier than ever. You can add your name to the invitation and add a custom message to send to your clients. Do your clients forget to bring up important issues in a sessions? With our bookmarking system your clients can now save important journal entries they want to talk about in a session and easily access them from the app. It took some steps for your clients to be connected to you. Not any longer! 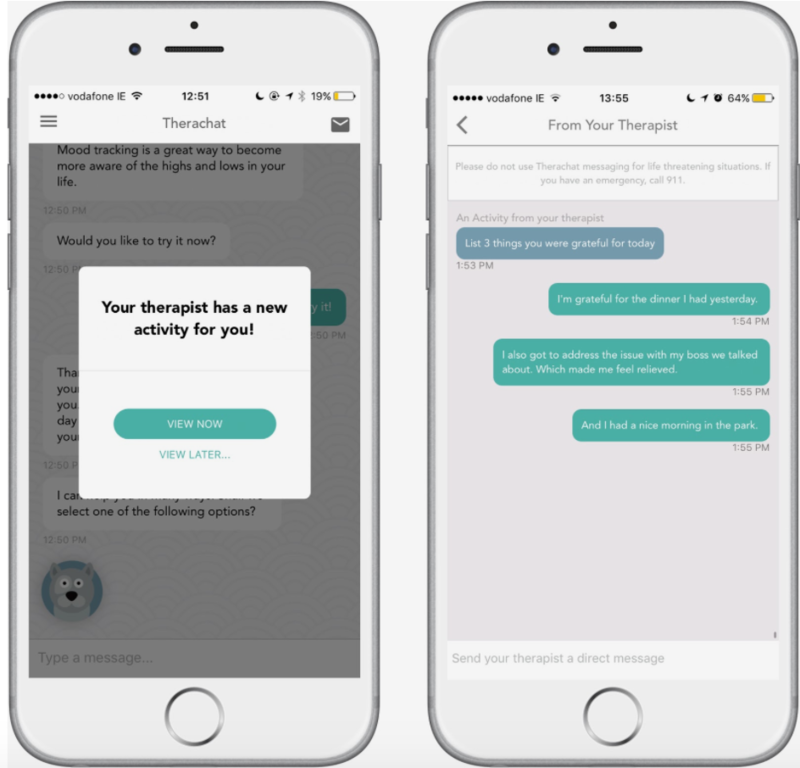 Your clients can now identify that they have a therapist and connect to you. Browse to our website to try Therachat for free & see the benefits yourself! Or let us know in the comments what you think.